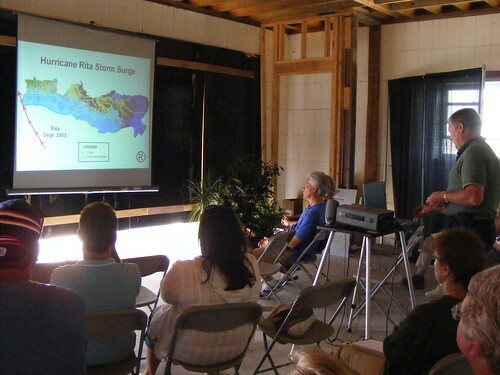 LSU AgCenter's LaHouse – a model home that showcases storm resistant building practices – had extended hours June 14-17, 2007, for Hurricane Resistance Days. Located on Louisiana State University’s Baton Rouge campus, LaHouse is designed to educate homeowners, home buyers and the building industry on ways to create homes that are built for the hot-humid climate, are energy efficient and resist damage from hurricanes and termites, while minimizing adverse impacts on the environment. LaHouse is located near the southwest corner of campus, off Gourrier Lane. Driving directions, up-to-date program information, a schedule of presentations and list of participating agencies and vendors are available at www.BuildSaferStrongerSmarter.org. Hurricane Resistance Days at LaHouse is part of the LSU AgCenter’s “Build Safer, Stronger, Smarter” initiative. LaHouse is built through a public-private partnership.